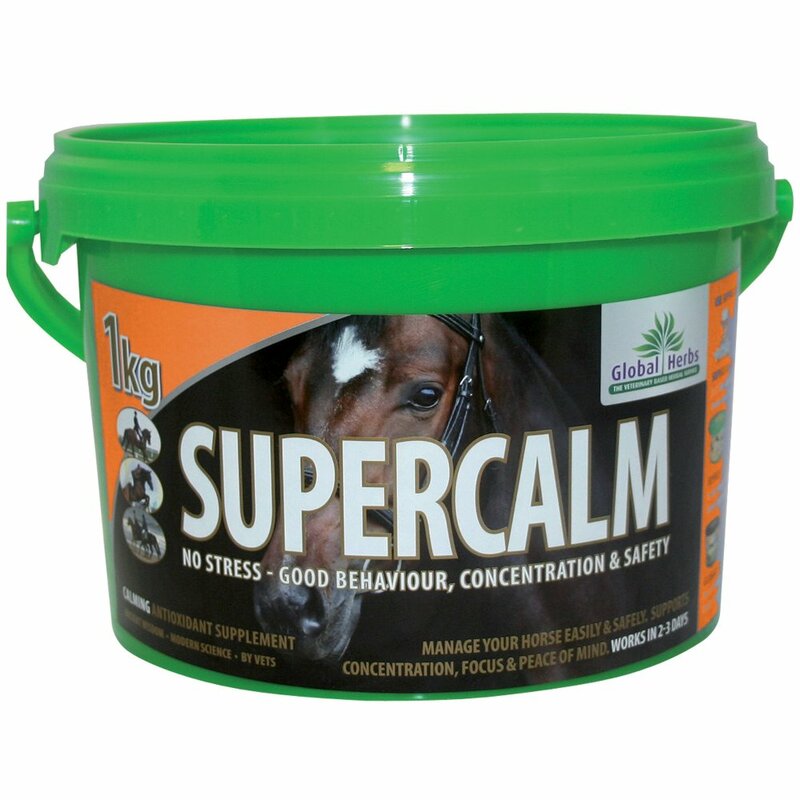 Global Herbs SuperCalm is a value for money, quick and powerful calmer that has been formulated to encourage your horse to relax and be easier to manage. This horse calmer also provides good nutrition for digestion and the immune system. Many of the everyday problems you experience with your horse are likely to be caused by a lack of relaxation, encouraging your horse to relax can therefore make life a lot happier and safer for both of you. Global Herbs SuperCalm contains similar ingredients to the more specific calmer supplements offered by Global Herbs in a formulation that is suitable for long term use.